Young people rarely think about the time when they will retire. And it’s not just young people. As life goes on, you become a parent, and your children take priority, and then they’re in their teens and are difficult, and then they need college tuition, and then you’re over 50 years old and do not have a plan for retirement. However, retirement age is just as important as any other age in your life. Sure, you might know the basics that you will need: a home, a pension. You cannot still be paying rent in your 60s and 70s, and if you’re in need of medical care and a nursing home, you will need to fall back on your pension for expenses. You know, the pension you worked your whole life for, but never really thought about how exactly you’re going to get it. But you should think about it. And we will tell you why. Once you retire, you depend on your pension. Think of it as your paycheck – only you don’t have to work for it anymore. All you have to do is use it wisely. This gives off the impression that once you retire, you can do whatever you want. Visit your grandkids and lavish them with gifts, travel, explore, and enjoy. Right? That does sound like the perfect retirement. But, as mentioned above, what if you need medical assistance? What if you need a nursing home? Moreover, there is the fact that many elders, especially those who have recently retired, begin to have mental problems, of which the most common is depression and lethargy. It’s not so difficult to imagine – after the age of retirement, we all know what’s coming, and none of us want to think about it. But, plan your retirement the right way, and you will be prepared for the unexpected. No medical bills will surprise you, nor will they take away the opportunity to enjoy your retirement days. However, in order to achieve this, you need to start planning for it early enough to allow for the unexpected. What are your choices for a pension plan? Depending on where you live, you can retire on government funded pension plans, you can have a private pension plan, or you can invest. All of those options carry a certain risk, even the government funded the pension plan. The problem with the government funded pension plan is the fact that due to medical achievements, people live longer now. And since they live longer, they receive pensions for a longer period of time, thus, creating a deficit within the retirement budget. Also, your pension depends on a lot on the government and the economy, and you cannot predict what will happen by the time you get to retire. Private pension funds can also collapse, rendering your retirement plan to zero, as was the case with Enron. If you’re a business owner, or if you invest, the risk is even bigger, but then again, the reward will be worthwhile in the end. Make sure to manage your books accordingly, maybe even get a bookkeeper mosman, because one day, you will want to retire. All in all, the responsibility for your pension plan has shifted from the government and your employers to yourself – and if you don’t prepare the right way, you will face many problems during retirement age. The usual retirement age in many countries of the world, including the UK, used to be 62 years old for women, 65 years old for men. However, back in 1995, the UK government decided to equalize the age for men and women. Now, both men and women can retire when they’re 65, as the law was supposed to be implemented in the years 2010 to 2020. However, the government decided to speed things up back in 2011. Many people saw their retirement ages go from 60, to 62, 63 and 64. Many women who are of retirement age have not been able to adjust to the new age. 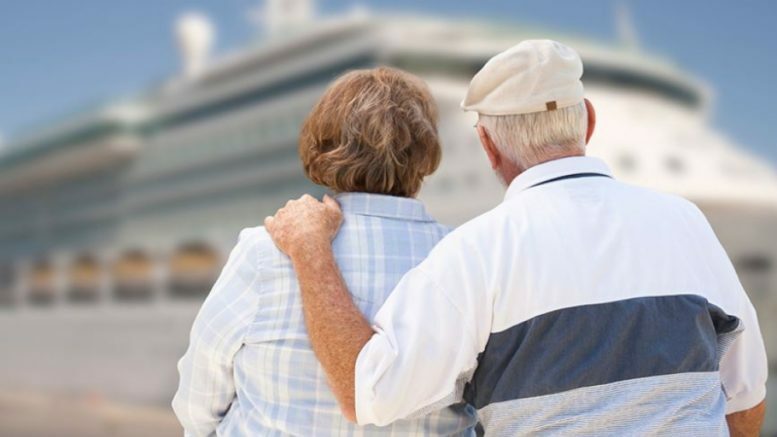 Moreover, the age of retirement is to be equalized to 66 in 2020, causing even more problems for younger men and women, who simply aren’t able to predict if they will be able to retire at 64, 65, or 66, because they cannot predict what kind of a decision will be made by the government in 2020. On the other hand, we have Brazil, where people can retire as soon as they get in their fifties. That’s a very generous government supported retirement plan – however, as we previously said, with medical achievements people live longer, thus causing a possible deficit in retirement funds. Today, Brazil is trying (and failing) to increase the retirement age to 65. Considering the difference of a decade, it’s not a surprise that the people riot against it. So, what can you do to ensure a stable pension plan in this world of uncertainty? The first and most important thing is to create a retirement plan early – even as early as your 20s. The second thing is to make that plan flexible. Analyze the difference between retiring at 60, 64, 66 years of age, and make a financial plan to be able to fall back on. The third thing you must do is to keep track of all the changes in the law. Even if the law is not going to go in full force until 2020, as with the UK example above, it’s still important for you today, especially if you’re young and will not retire for decades to come. However, each change in the law, if tracked, can be used to make adjustments to your retirement plan and pension, thus, you will not be caught off guard if there are changes in the law when it’s time for you to retire. Be the first to comment on "5 Reasons Why You Should Plan Your Retirement Early"